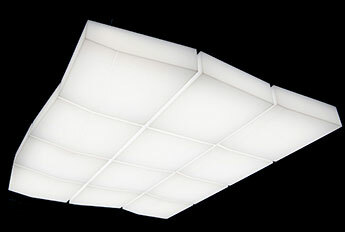 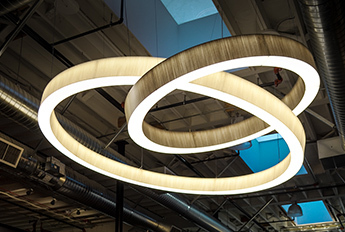 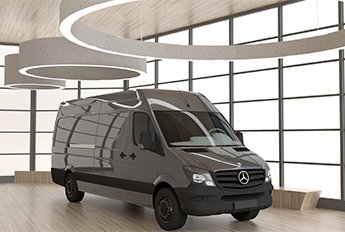 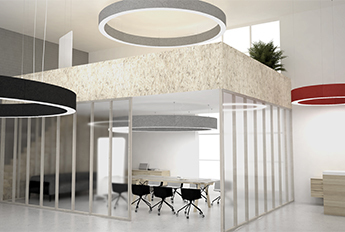 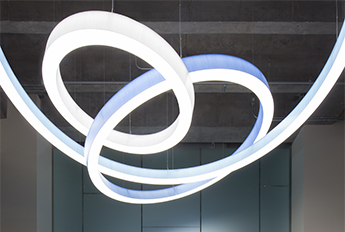 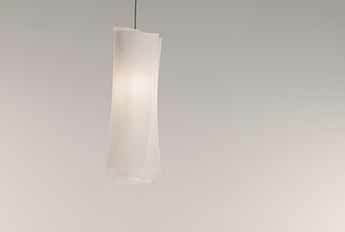 A 6ft LA2 Ring gets with an exciting twist with a different inner and outer shade material. 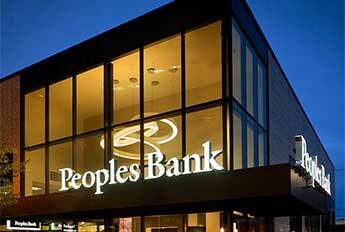 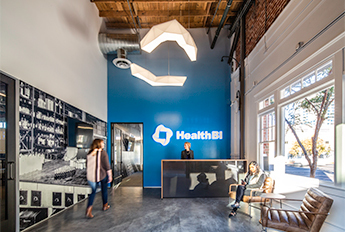 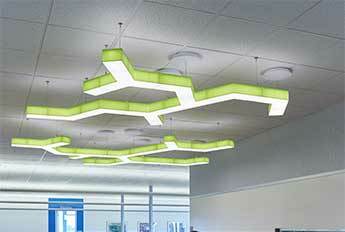 A great example of how adaptable our products can be. 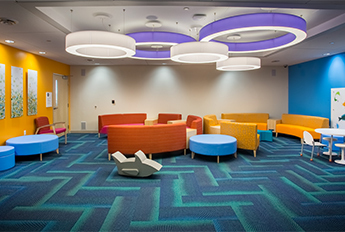 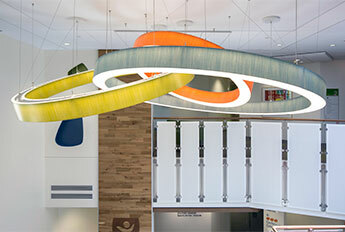 We have 250+ colors to choose from, mix and match your way to the perfect solution. 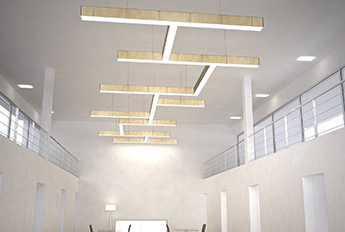 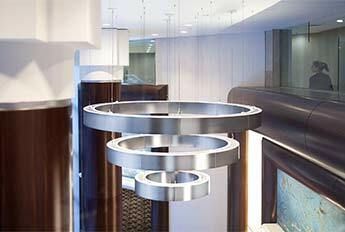 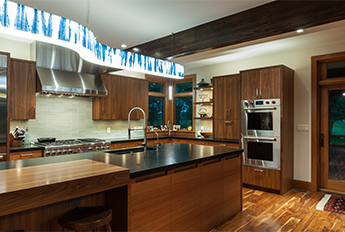 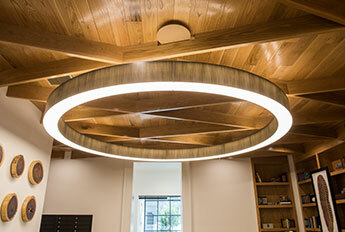 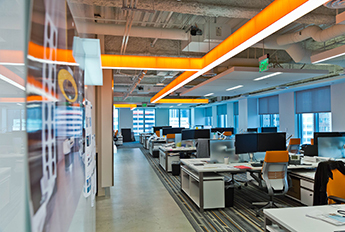 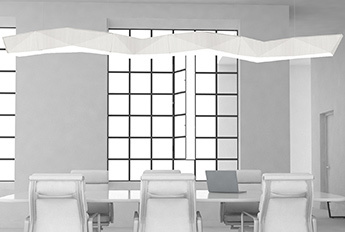 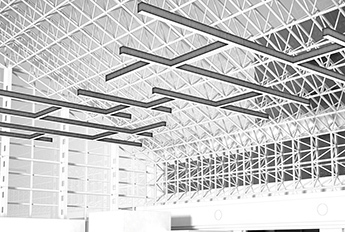 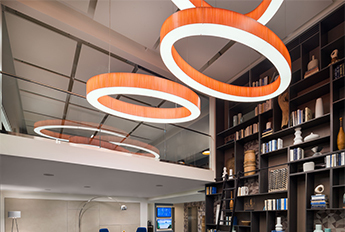 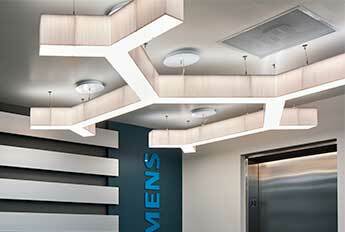 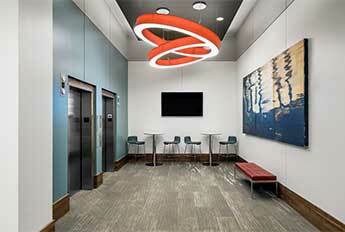 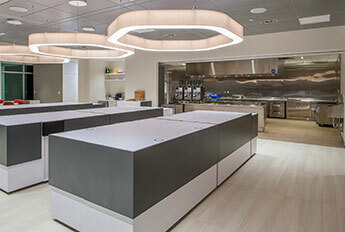 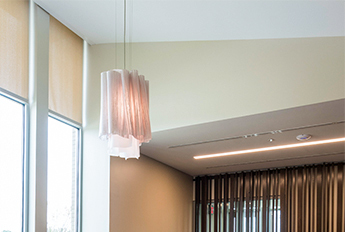 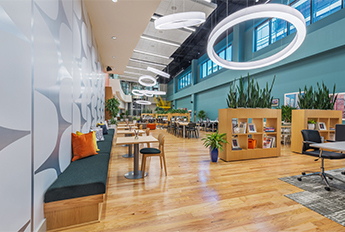 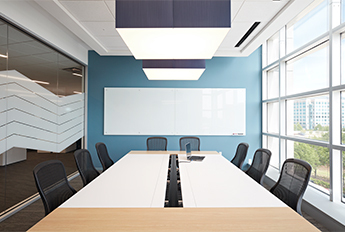 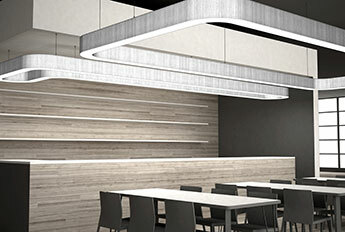 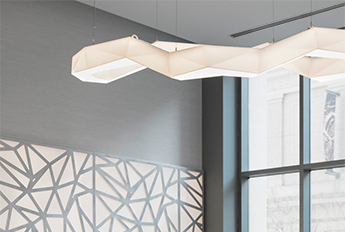 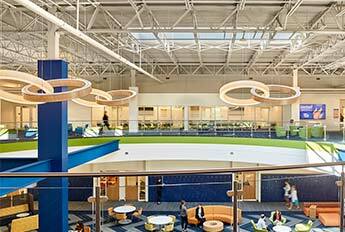 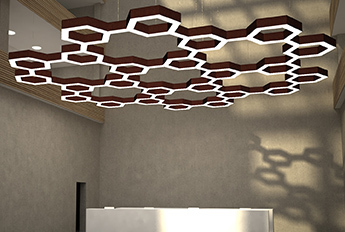 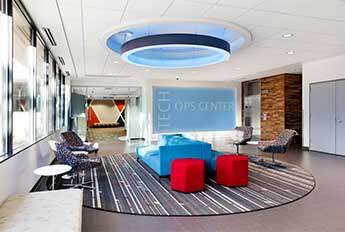 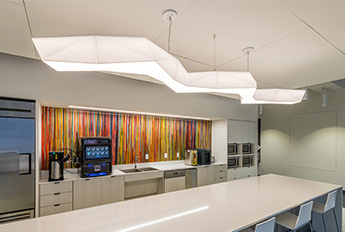 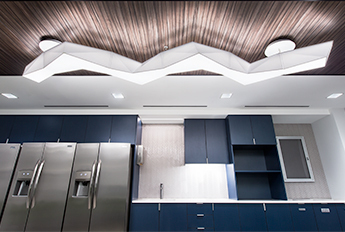 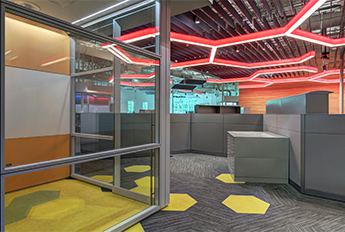 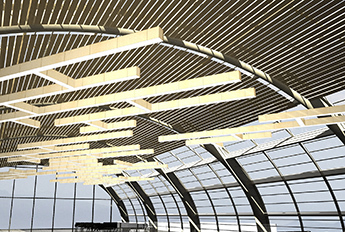 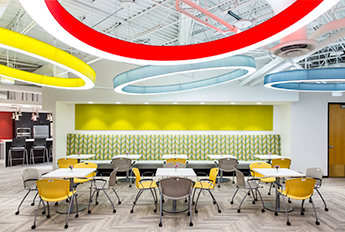 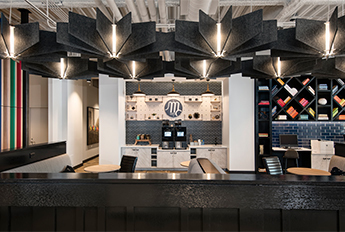 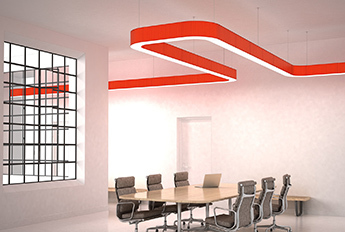 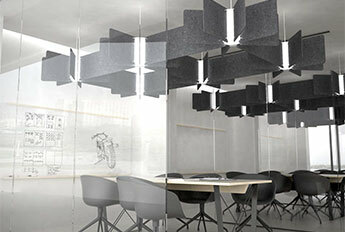 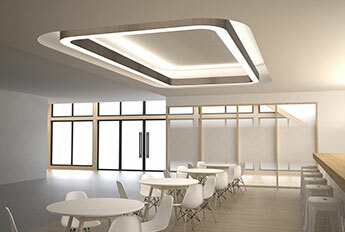 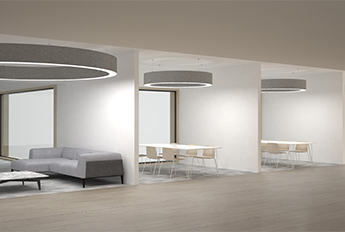 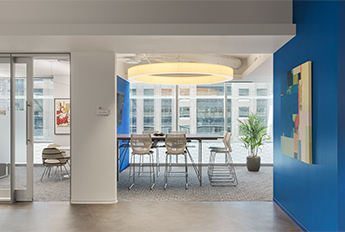 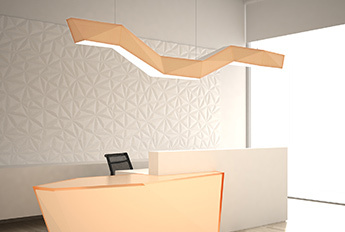 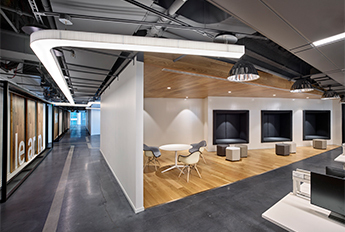 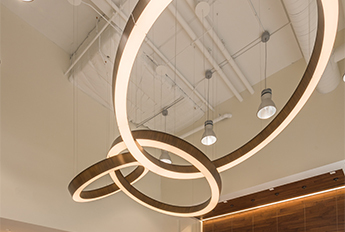 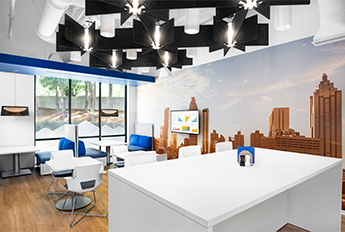 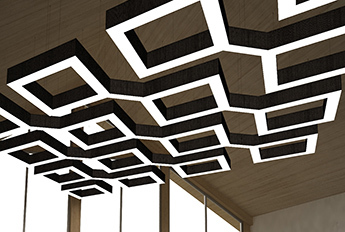 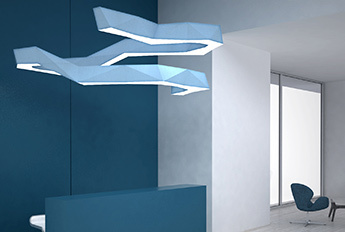 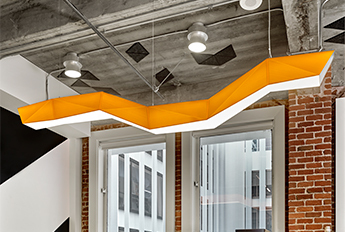 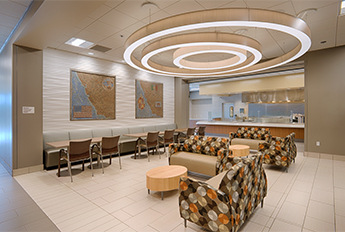 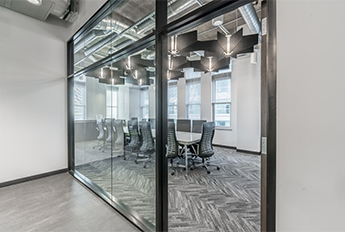 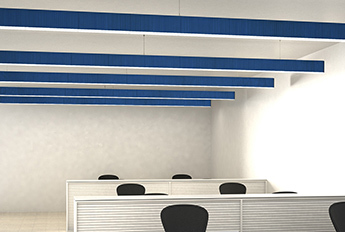 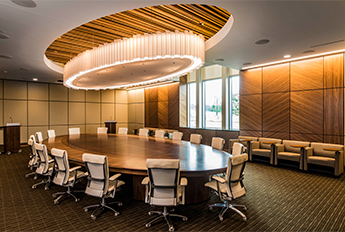 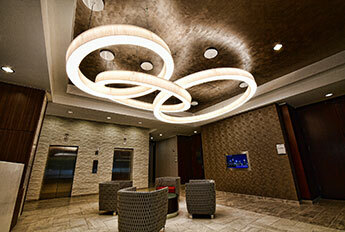 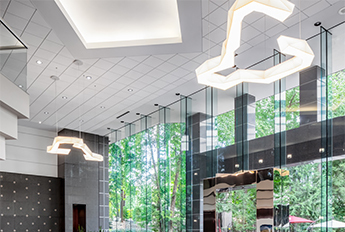 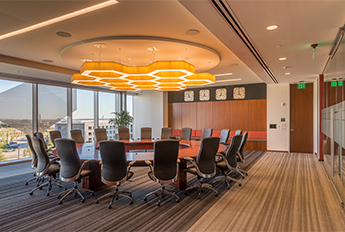 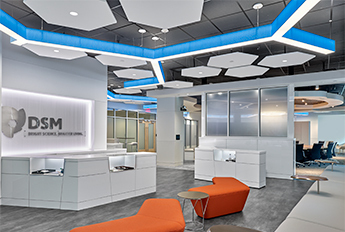 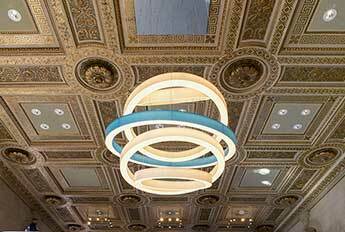 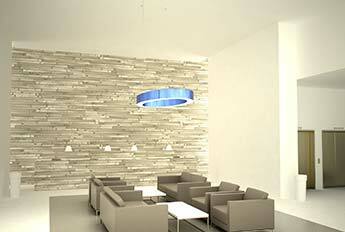 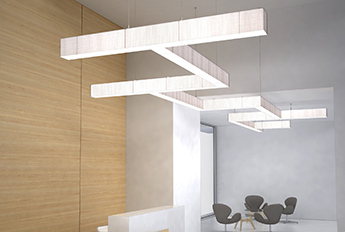 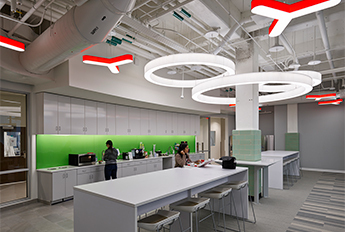 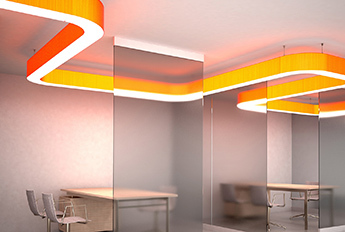 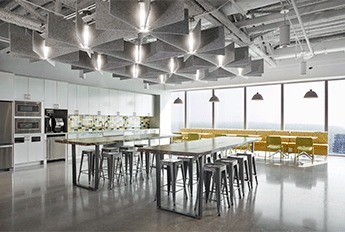 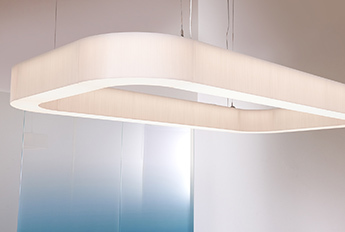 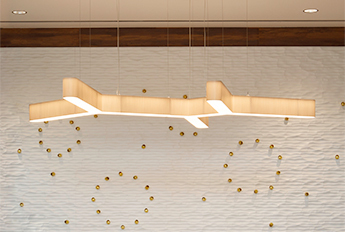 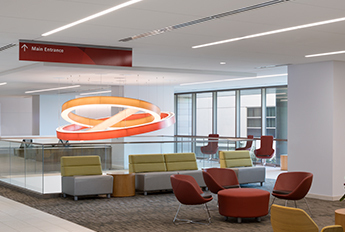 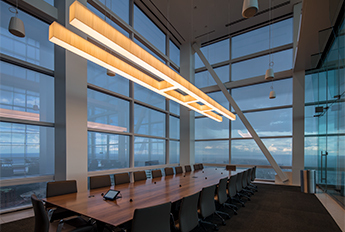 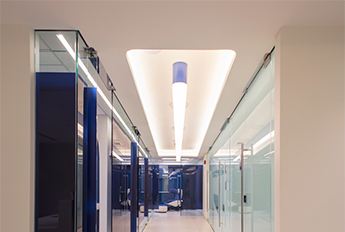 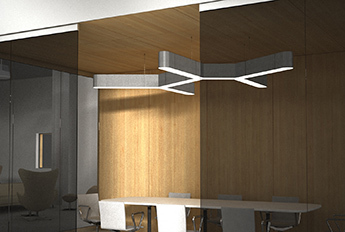 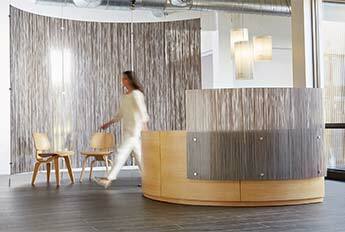 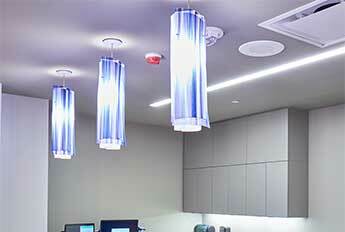 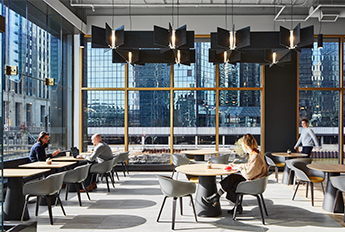 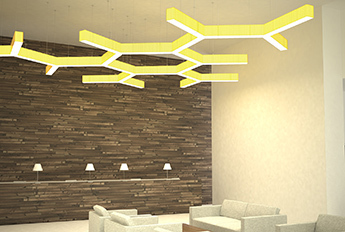 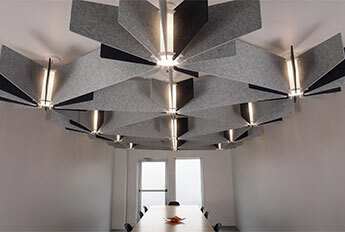 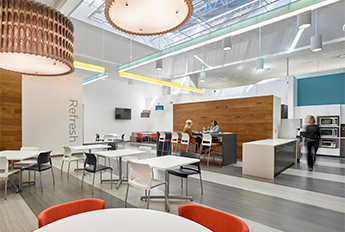 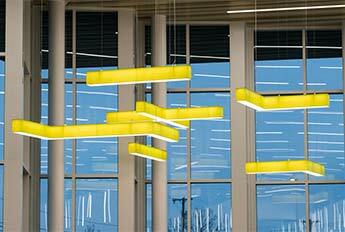 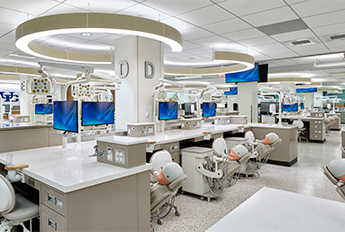 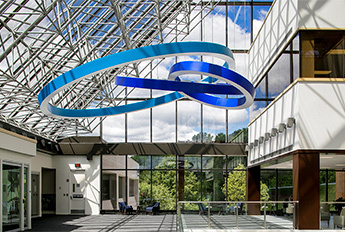 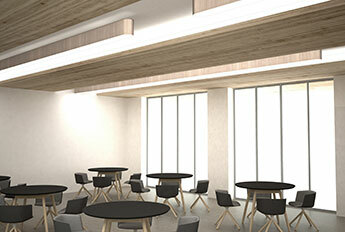 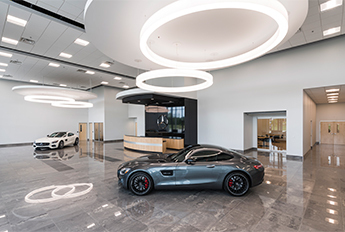 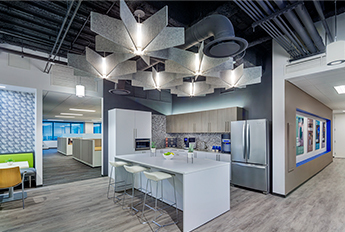 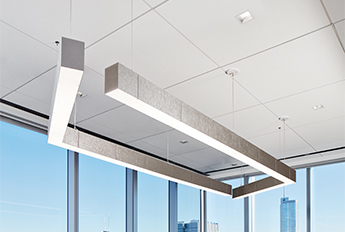 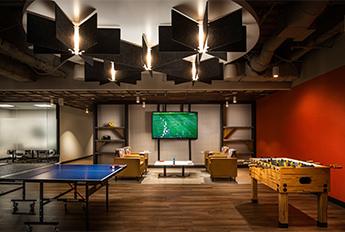 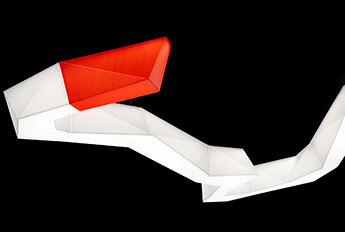 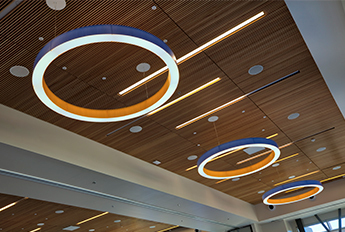 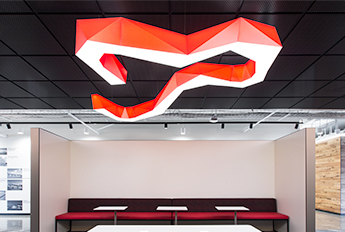 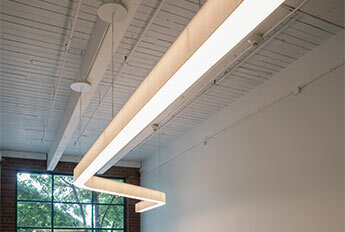 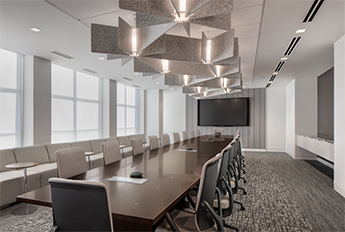 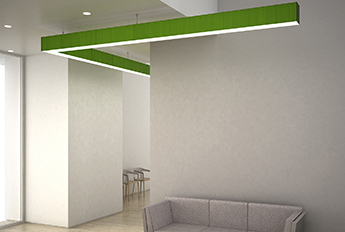 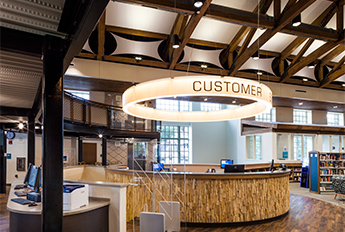 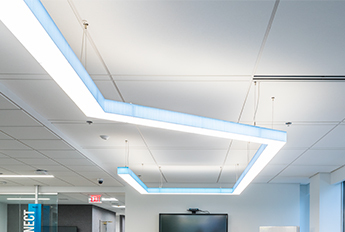 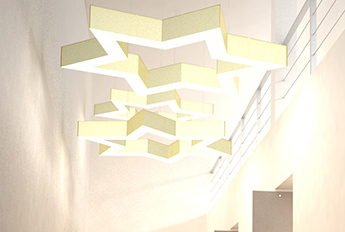 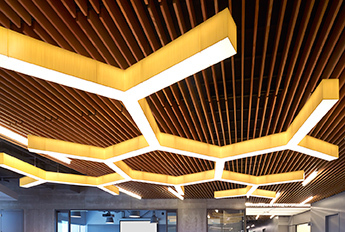 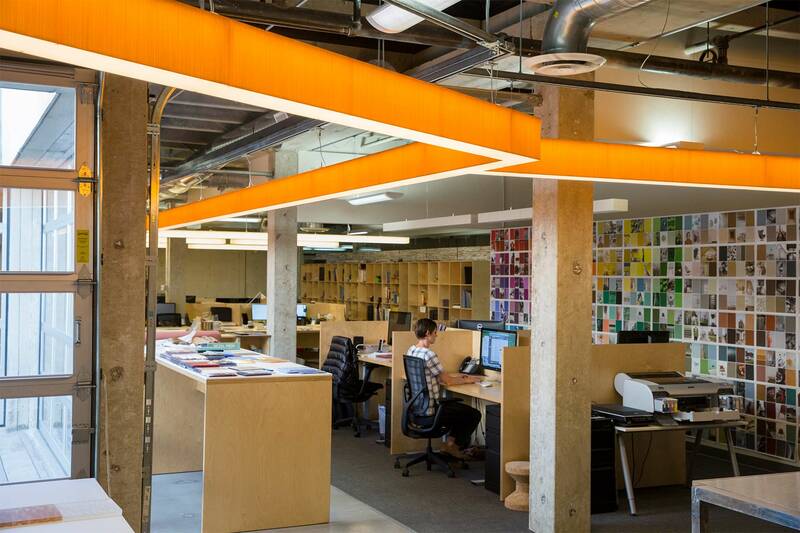 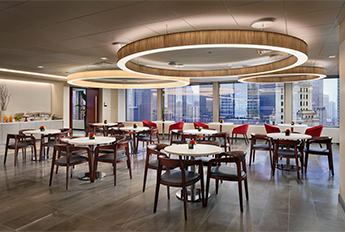 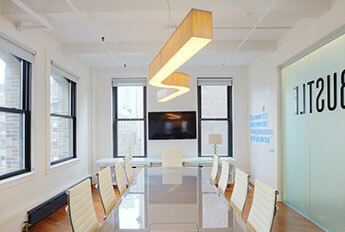 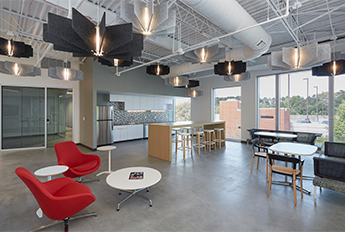 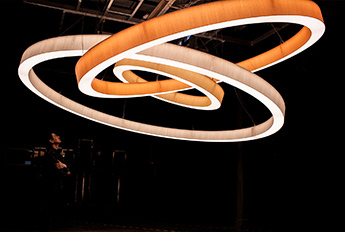 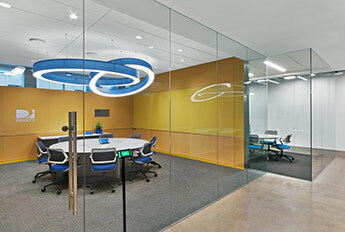 The project also included the La2 Essential beams and the Layered pendant.